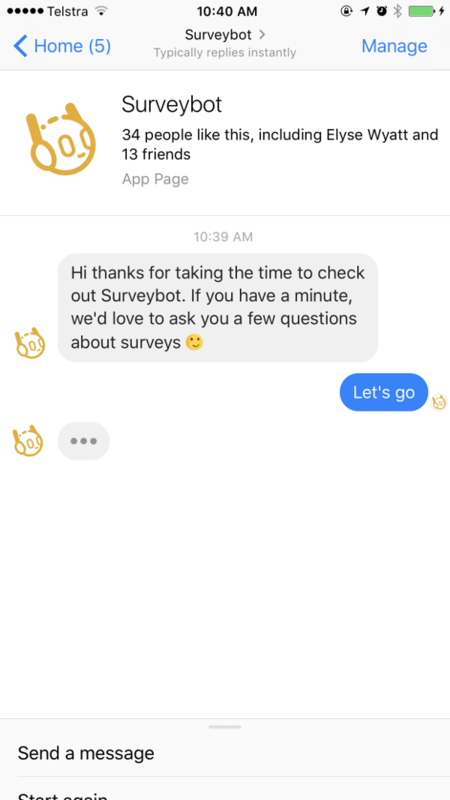 Surveybot has some exciting new features to make your surveys more human to help get more responses! Thanks again to everyone that has shared their feedback with us. If you have any suggestions please feel free to get in touch! 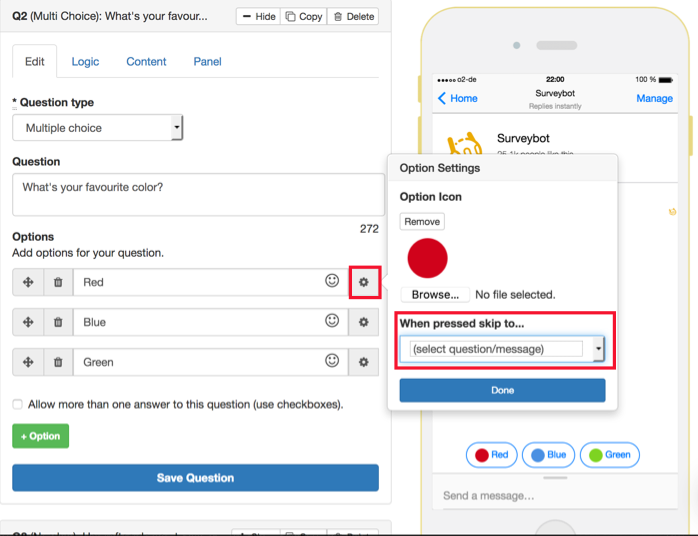 Surveybot now enables you to add delays between your questions in your surveys. 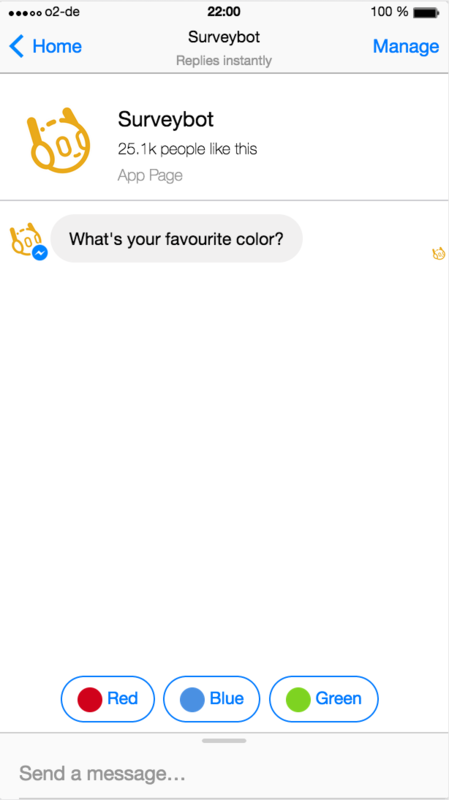 You can also use the typing indicator to make your surveys feel more human. We’ve made some big enhancements to the survey designer. You’ll now see multiple controls to the left to add different objects to your survey. You can drag/drop to anywhere in your survey making it easier go back and add questions. You can now upload your own custom icons to any of your multi choice options. Just click on the “settings” icon to the right of each multi choice option. We’ve made it easier for you to setup skip logic for your multi-choice options. Click on the settings icon next to each option and you’ll see the skip logic dropdown in the popover. It’s now easier to analyze and review the performance of your campaigns. 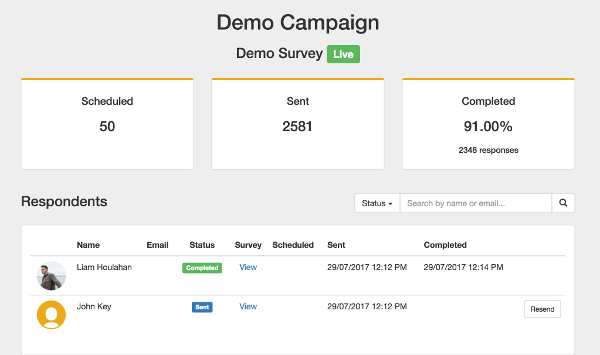 See the number of respondents that have started your campaigns, your completion rates and easily resend campaigns to respondents. You can now combine jump logic and only send logic for a single question. 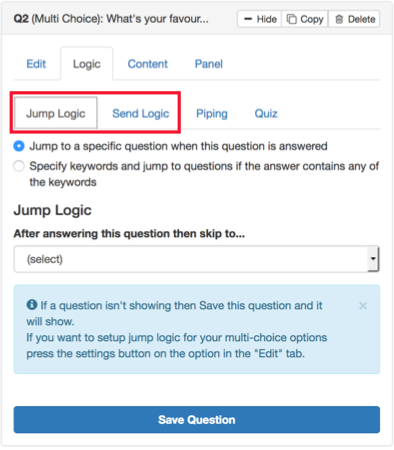 Jump logic covers where the survey goes to after answering the question and only send logic is to determine if the question should be sent. Thanks to the latest update from Facebook checkbox, date and time questions now appear in the same window when answering on desktop via Facebook or Messenger.com. 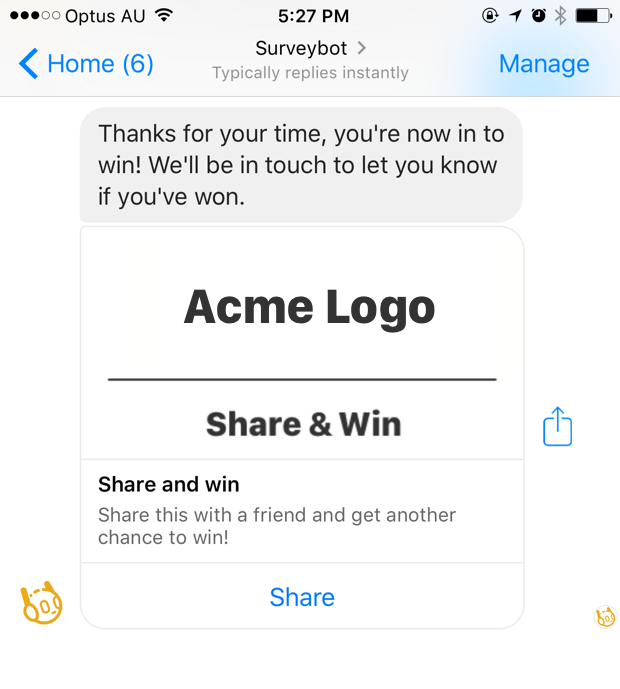 With the new share survey button type you can now prompt respondents to share the survey with their friends in Messenger. Use it with an incentive to get more responses for your survey. To setup sharing add a “Card” or “Gallery” message to your survey. Then add a button to the message and set the button to “Share a survey”. Liam is the founder of Surveybot. After years of working in a consumer focused startup Liam experienced first hand the difficulties in engaging with consumers at scale. 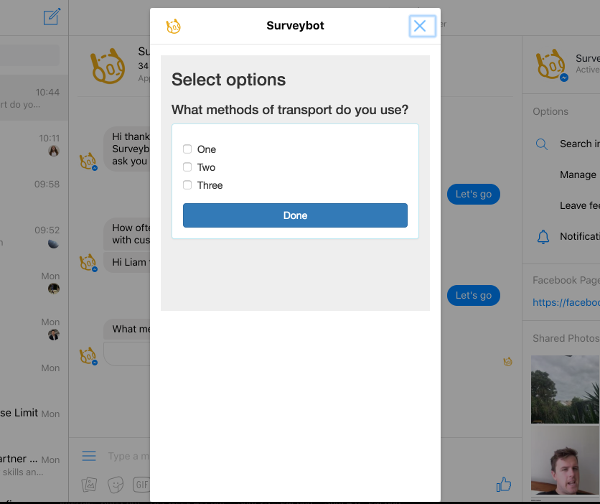 Now focused on Surveybot Liam aims to help other businesses engage their audiences to capture data and feedback more efficiently with Surveybot!